In his last seven games, Springer has hit seven home runs. The last guy to do that? None other than the immortal Rudy York of the Detroit Tigers, who did it from August 22nd through 27th in 1937. 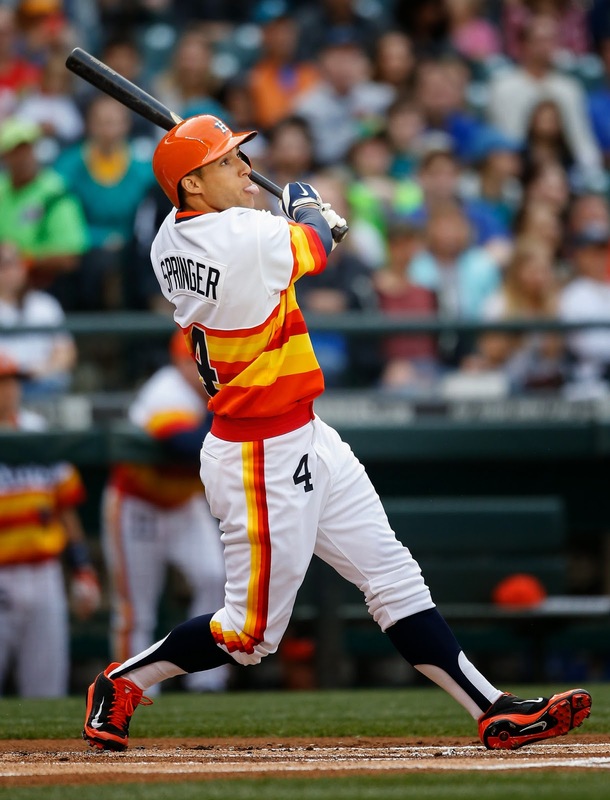 Springer's statistics during this stretch has been tremendous with a .416 batting average, 14 RBIs and 11 runs. What is even more important is that Springer has helped sparked a six game Houston winning streak. Of course, Houston is still only 23-32 and 9.5 games back of the AL West-leading Athletics but at least they could end this evening with a record that is not the worst in the Junior Circuit (it is a good thing that I picked Tampa Bay to get to the World Series). Plus, according to the great Jeff Passan, Springer has helped to inject the Houston dugout with some much-needed energy and has helped a woebegone franchise have some hope over what the future can bring.